I had these new Out of Space Stories nail polishes from Essence on my wishlist, but when I saw some swatches on Instagram, only the black one caught my eye. It looks very pretty and of course, I had to buy it. 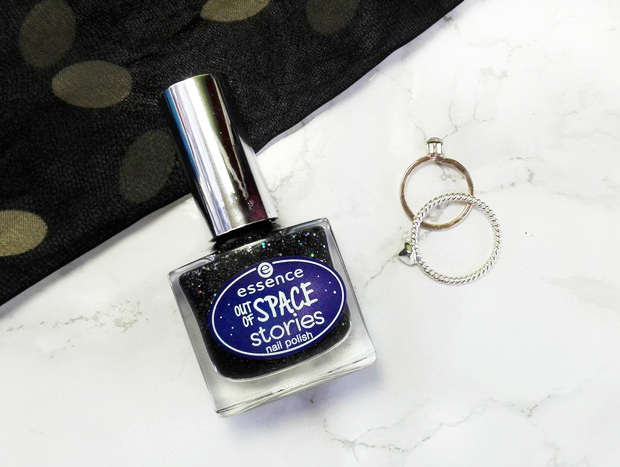 The Ouf of Space Stories Nail Polish comes in a glass square bottle, which contains 9ml of the product. 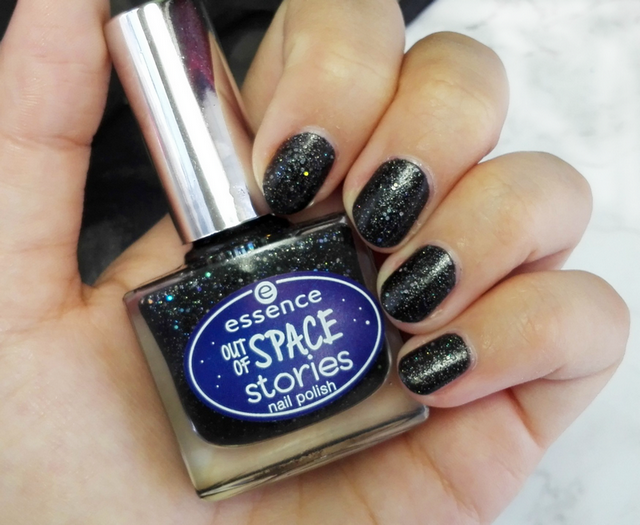 I chose the shade 07, called 1000 Light Years Away. The brush is straight cut and thin, I like it. 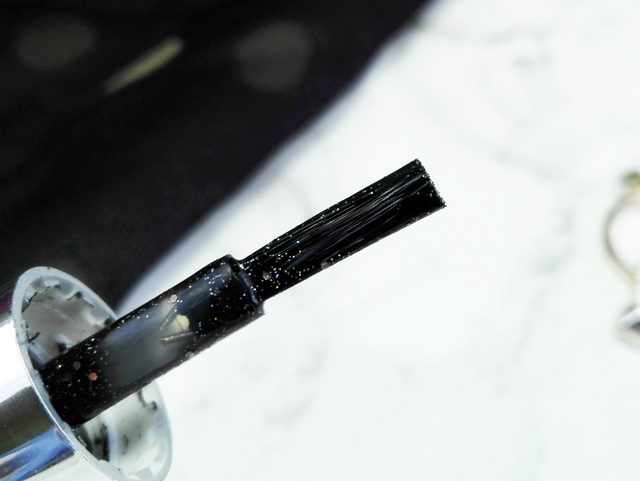 The formula is quite thin black polish with a lot of very little glitter and some bigger ones. 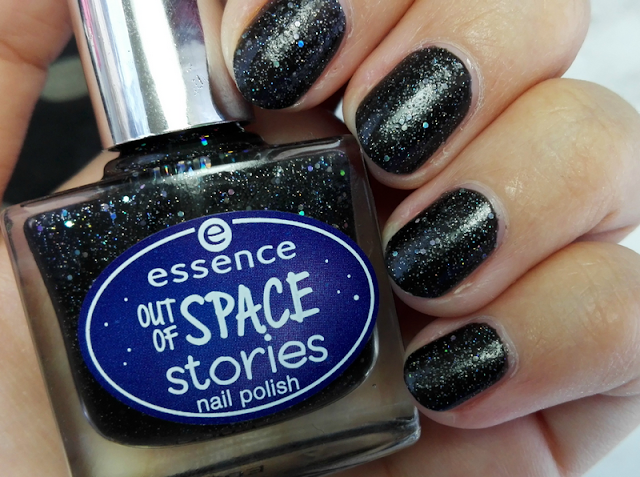 When you apply the first layer it looks like a mess with sheer black polish and a lot of glitters, but with the second layer, you already get full opaqueness. Like all glittery nail polishes, it stayed on for a couple of days, but then it started to chip a little on my thumb and my pointing finger. 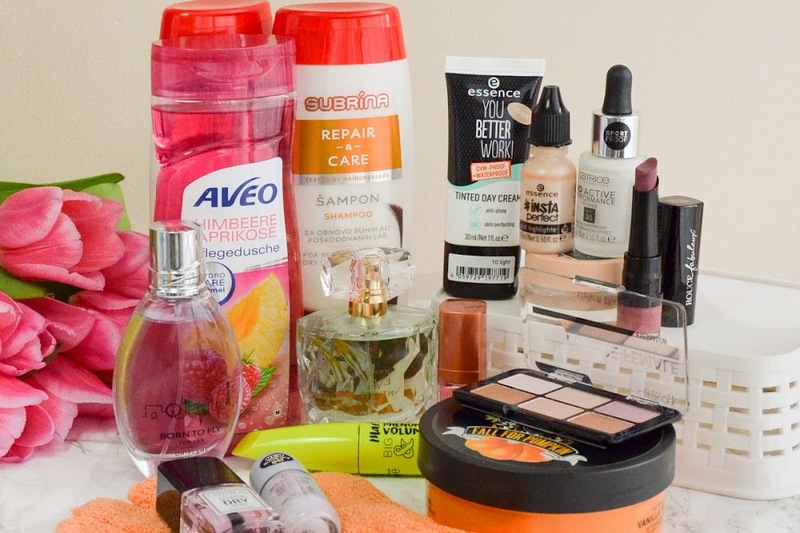 If you apply a top coat, it will probably last around a week or maybe even more. Removing the polish it's hard, you have to literally scratch those small glitters of the nails. 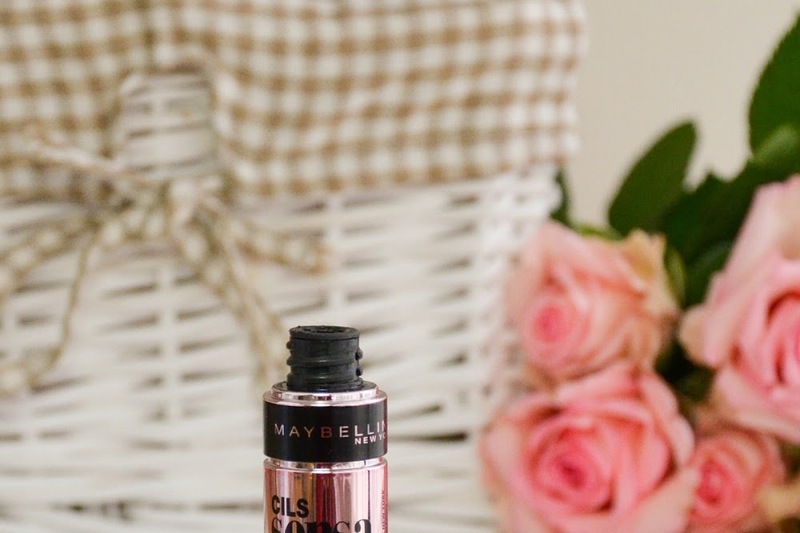 Although that lately I have been loving lighter nail polish shades (except for the wine red shades), this looks gorgeous on the nails. It's just the right amount of small and big glitter, so it doesn't look too much and it creates a gorgeous galaxy effect.